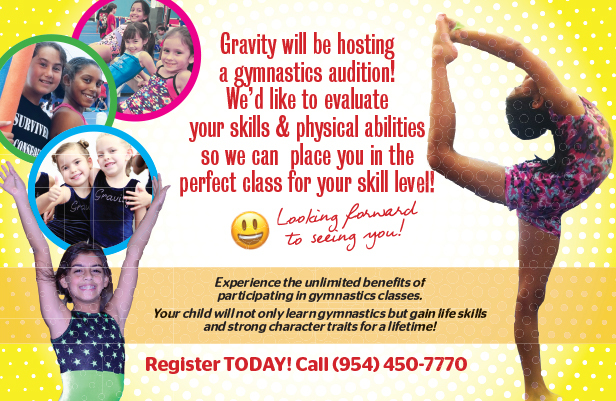 Are you interested in trying gymnastics? 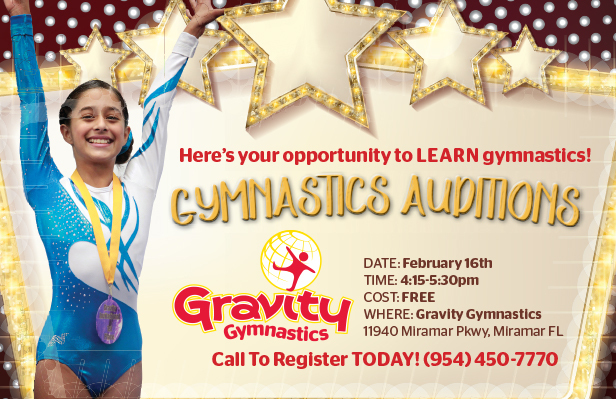 Gravity will be holding an audition just for you! Video: What do our gymnasts do?